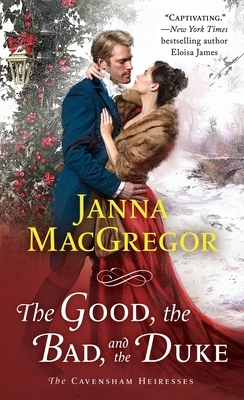 Janna MacGregor was born and raised in the bootheel of Missouri. She is the author of The Bad Luck Bride. She credits her darling mom for introducing her to the happily-ever-after world of romance novels. Janna writes stories where compelling and powerful heroines meet and fall in love with their equally matched heroes. She is the mother of triplets and lives in Kansas City with her very own dashing rogue, and two smug, but not surprisingly, perfect pugs. She loves to hear from readers.